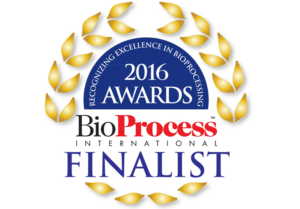 Gibraltar Laboratories, Inc. is proud to announce two honors:  FINALIST for the “Excellence in Facility Design or Retrofit Award” by the 2016 BioProcess International Awards as the company is recognized for designing and re-purposing pre-existing buildings to incorporate the equipment and resources that allow it to offer certifications, terminal sterilization, and ready-to-use sterile vials and  Gibraltar Laboratories was also recognized both for “Best for Analytical Chemistry Services in New Jersey” and “Best Laboratory Sterilization Product” for the Gibraltar SteriKit® at the 2016 Pharmaceutical Packaging and Manufacturing Awards. The Gibraltar SteriKit® is designed to help accelerate companies manufacturing processes by saving time, space and money. The ready-to-use kit comes with sterile vials, available in either clear or amber, sterile seals, and sterile stoppers of the client’s desired vial size and seal color. This provides aseptic manufacturers with unique, customizable packaging options in a timely manner that can support them in bringing new drugs and vaccines to market that comply with FDA and USP regulations. Gibraltar Laboratories is proud to be honoured with these prestigious awards and looks forward to its continued support of aseptic manufactures with its platform of laboratory and sterilization services and the SteriKit®. ← Let Our Spirit Fly!